Under the Sea is a style for those who - well, love the sea. Probably a young person, but not always! In this design, you can choose a blue, green or pink sea. Whichever color you choose, you can see little sea animals swimming and plants waving. Fish, starfish, a happy octopus, kelp, bubbles, and little waves, bring the life of the sea to your party! Enjoy your fun under-the-sea celebration with your special person. 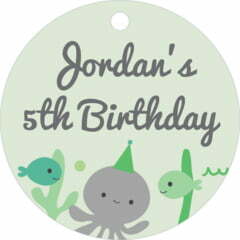 Customize your Under the Sea food/craft hang tags for your product or project today. Under the Sea food and craft hang tags are printed on heavy card stock and are die-stamped into individual tags. They include a small round hole for the string, and they come packaged in a paper bag. 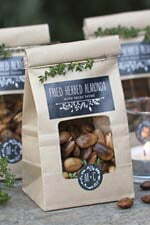 When you adorn your food and craft products with these food and craft tags, they look very good indeed. Just select a desired shape from above, and then choose "Personalize" to start customizing your Under the Sea food craft hang tags today! I have checked that everything is correct including spelling, layout, color and size of the tags. I have double-checked that everything is correct, including spelling, color, and size. Please make sure my tags look beautiful! 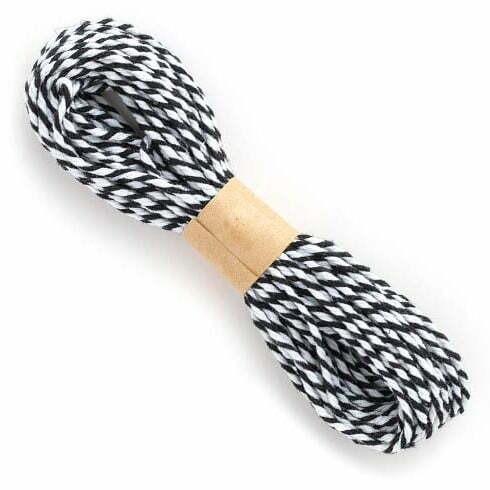 This luxurious 100% cotton twine comes uncut, so you can snip to the exact lengths you need. Pliant and soft to the touch but still durable, it is easy to work with and will not easily break. 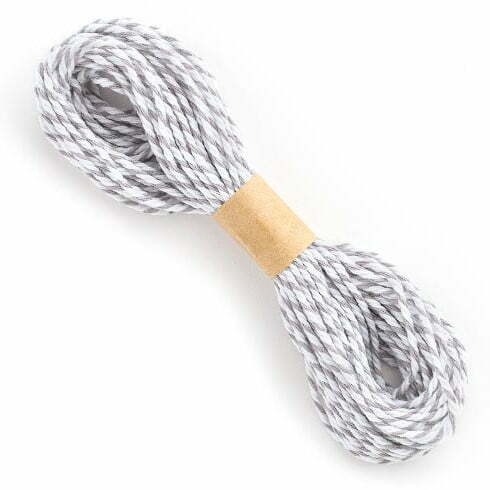 This sixteen-strand twine is wrapped in three-ply twists — two of white and one of an accent color, which makes a fresh, attractive presentation. 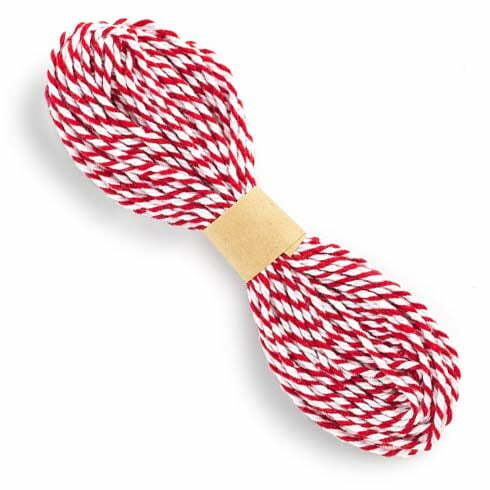 Perfect for attaching favor tags, and for tying gift boxes and bags. As a guideline, if you cut the strings into 11" lengths, you should have enough for about 36 tags. Want more twine? Go to the twine page and add bundles to the cart. Giving these as a gift? This is a preview of what the back of your tag will look like once it is printed. The choice is yours! White is excellent for clear, crisp images and bright colors. 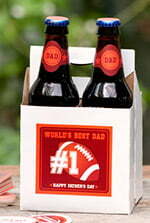 Kraft has a natural look which will give a warm cast to the printed photos and colors. You can see below how the same item looks printed on each paper. 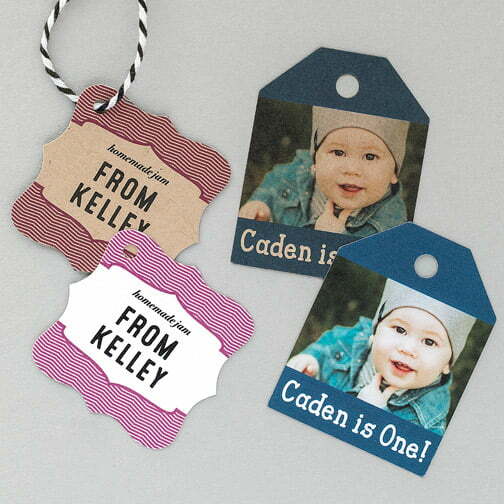 Tags are printed on thick, matte card stock and are pre-punched with a 5/32" hole. Back printing will be black text only. There is a limited amount of space, so please keep your text brief. Our professional designers will do their best to make your text fit and look terrific. If you want to see how it will look, request a proof at checkout.